TheChicGeek says, “Tommy Hilfiger has really carved out that niche of affordable designer. Once they realised that they weren’t a true ‘designer’ brand and just stuck to making distinctive and fun clothes, they seem to have flown. This is the latest incarnation of the classic Tommy fragrance which was released in the 1990s. Now is a woody and spicy fragrance with bergamot and mandarin notes and geranium, ginger, cardamom and warm wood. TheChicGeek says, “You’ve probably seen this brand before. This is L’Oréal relaunching the men’s grooming brand, Baxter of California, back into Europe. 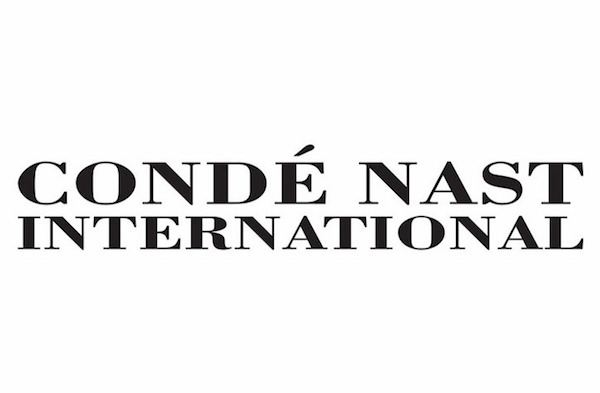 Established in 1965, it is one of the oldest men’s grooming brands and was acquired by the huge beauty conglomerate, L’Oréal, in 2012. (They’ve been hoovering up a lot of brands over the last few years). The thing I remember most about Baxter of California was the metal tubes. It gave them a retro and quality feel. These are now gone, though the packaging looks similar and I still like it. I don’t actually remember the products themselves. It’s a big range, but feels reliable. I tried the Oil Free Moisturiser, which I really liked and they also do an SPF option which is great. The Citrus & Herbal-Musk Deodorant, is an alcohol and Aluminum-free stick sensitive skin. I also tried a not very memorable body wash, and, the deep cleansing, black bar of soap. These could both do with a stronger and more longer lasting quality fragrance especially at these prices. Men expect and desire this, now, especially when paying a premium. The pricing is relatively high, with similar prices to that other L’Oréal brand, Kiehl’s. It’s simple and easy to understand, which is good, but I’d like to see more of its background and history in its products. Where’s my California sun? Which ones are new? Which ones are your heroes? This brand would be perfect to tap the outdoor/active feel that grooming should be heading in. If I was going to pinpoint one standout product, then it's the Oil Free Moisturiser. Right - Everybody loves sunshine - Baxter of California needs to push more of its heritage. Or make some up?! 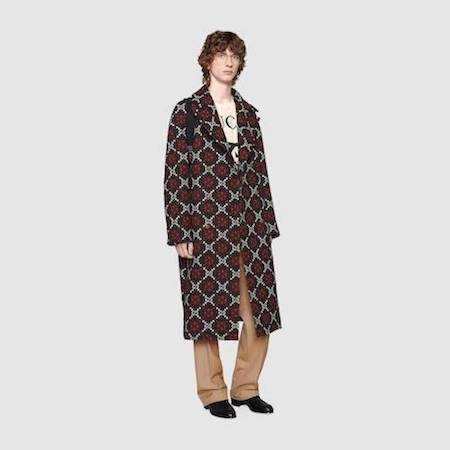 I spotted this coat on the Gucci catwalk in February. It is the type of coat people bought in the 1950s and 1960s and came with a matching hat, usually a Baker Boy style. It's the same coat grannies were wearing 40 years later and has that vintage feel that I'm always looking for. Looking like a walking pub carpet or wallpaper is the look for AW18. 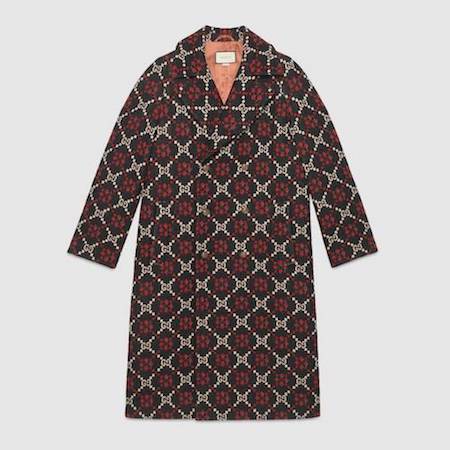 Even though it's fairly loud, you could pretty much wear this coat with anything and it would take centre stage while making it look like you'd pilfered your grandmother's wardrobe. You'd probably have to sell her to pay for it anyway! Jo Malone has teamed up with Savile Row tailors, Huntsman to release 4 fragrances aimed at men. They are: Amber & Patchouli, Assam & Grapefruit, Birch & Black Pepper and Whisky & Cedarwood. TheChicGeek says, “The first thing to point out is that none of these fragrances are new. They were all part of Jo Malone’s limited summer editions over the last few years - see more here - As many of those probably passed guys by, they’ve brought back these four. 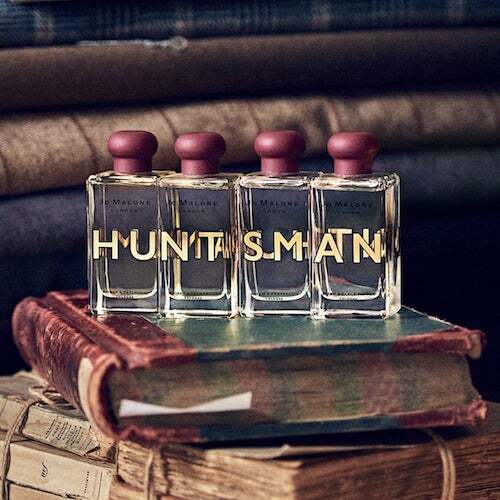 Huntsman is one of Savile Row’s most famously expensive tailors, but doesn’t have the design identity to play around with, so I think they’ve done really well just replicating the gold huntsman lettering on the front window onto the bottle. Simple yet classy. 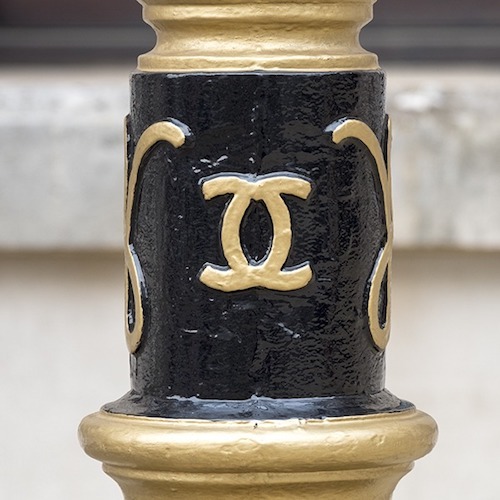 One of the easiest ways of finding something special is to look at a specialist online auction and Kerry Taylor Auctions in Bermondsey is probably the best specialist fashion seller in the UK. Admittedly, it is reflected in the prices, but they aren't crazy, especially when you compare them to today's designer prices. 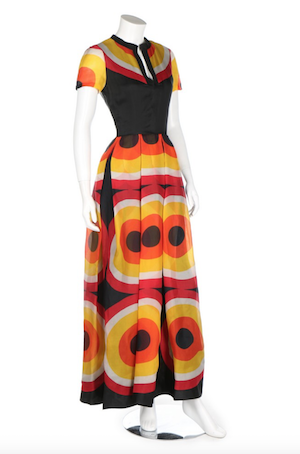 I always have a look at their online catalogue, not only to look at what is in the sale, but also for style ideas from the past. 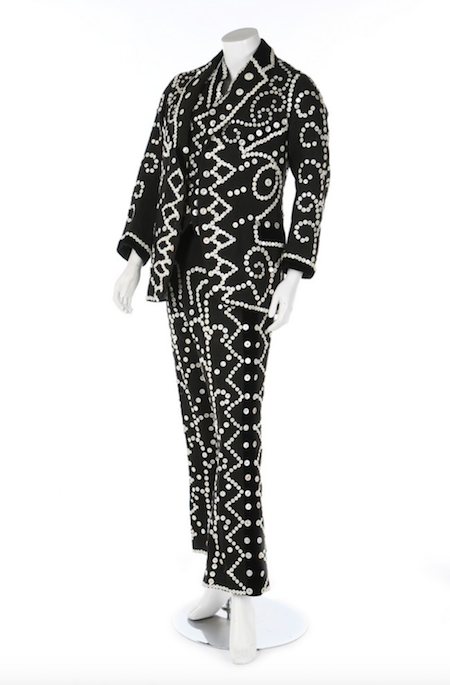 A Pierre Balmain couture printed organza evening dress, 1972. labelled and numbered 154665, boldly printed with 'target' medallions. 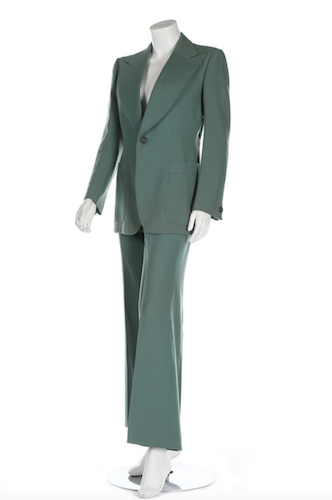 Two Tommy Nutter gentleman's wool suits, 1975-76. un-labelled, of similar design, the first in sage-green, the second beige, both jackets with exaggerated lapels, inverted pleat detailing to front pockets and rear; together with an original 'Nutters' hanger and photocopy showing the original owner. 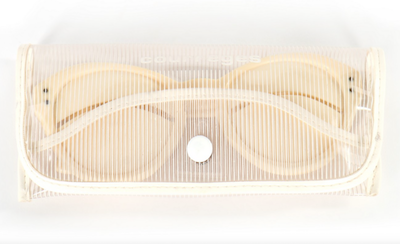 A pair of Courrèges cream plastic 'eskimo' sunglasses, 1964. signed along one arm, the solid lenses with horizontal slits, in a Courrèges plastic glasses case. A good 'Pearly King' outfit for 'The Yorkshire Coster', English, circa 1910. of dark grey herringbone tweed and covered entirely with pearlised buttons, comprising jacket, waistcoat and trousers with buttons by 'Scarboro Etches'; together with an original photograph and pocket map of London. Provenance: The Castle Howard Collection, ex lot 210, Sotheby's, 7th October 2003. 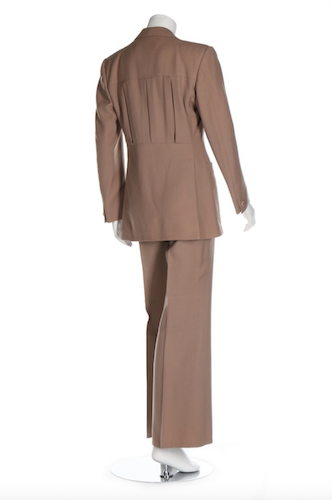 This suit belonged to William Wedgwood Fenwick (1886-1960) who was born in Scarborough to Methodist parents. He wanted a stage career and went to London where he trained as understudy to the performer Albert Chevalier. Eventually due to pressure from his family he returned to Scarborough where he opened a draper's shop. He used to entertain friends wearing this suit. Three pairs of men's braces, mid-late 19th century. 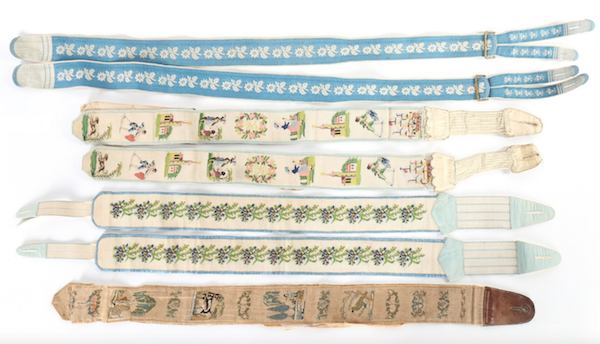 comprising: petit point pair with motifs including matadors, galleons, native figures with feathers; another pair embroidered with forget me knots, both with elasticated and leather straps; a woven blue and white Edelweiss patterned pair; and a single poor condition petit point panel. Two quilted hats, Ladakhi, Northern India, first half of the 20th century. the first of golden-yellow silk damask; the second in black velvet with fauna stems stitched in gilt thread; both lined in red cotton. 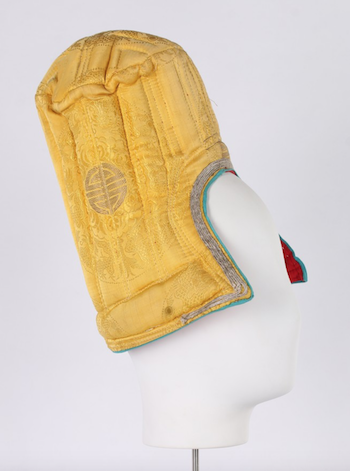 This style of hat is worn sitting high on the crown of the head, with the flaps curving outwards, during festivals. The seeds of denim’s comeback are being sown. Thanks to Raf Simons’ Calvin Klein and his new uptight form of denim, we have a new way to see and wear it. Bin those skinny jeans and buy yourself a denim shirt with contrasting front pockets, a roll neck and a denim jacket. This is 1970s cowboy in mid-winter. 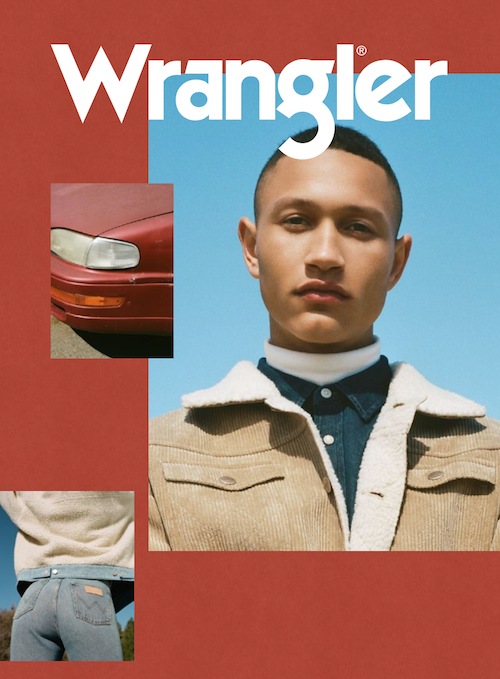 The new AW18 campaign from Wrangler perfectly illustrates this. Brokeback at the top of the mountain, you could say, this all-American, retro look is all about layering relaxed shapes. 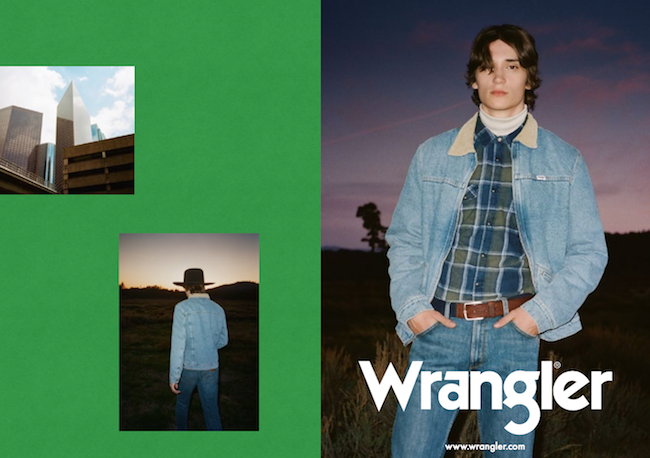 Denim or corduroy jackets over jeans, check shirts and lightweight roll necks give this cowboy a romantic and wild edge. Think more North Carolina than North Acton. Just don’t look like it’s your first time at the rodeo! 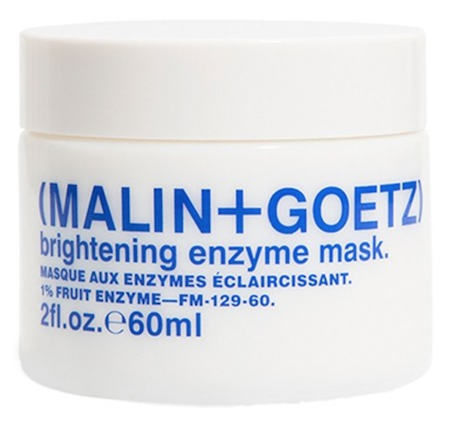 A gel-based mask that deeply cleanses and exfoliates dull, dry skin, improving overall tone and texture. This concentrated brightening treatment balances pomegranate and pumpkin enzymes with botanically derived AHAs, leaving skin softer, smoother. 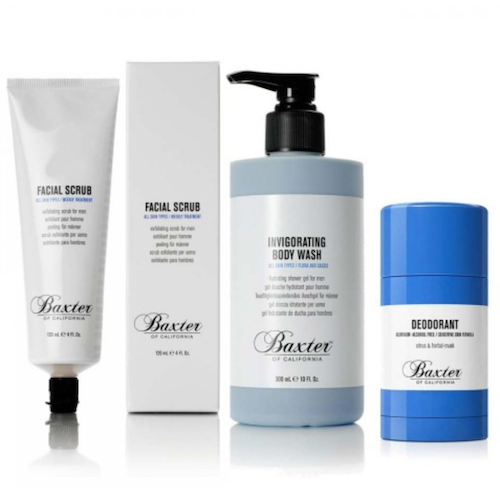 A quick, easy way to restore skin's glow without irritation; suitable for all skin types. TheChicGeek says, “This looks very natural: a soft, jelly-like consistency, orange in colour, with little bits in it, it goes on easy like a light gel. It doesn’t smell particularly strong, a slight lemon scent and you leave for 5 minutes, then rinse off. All at night. The website says ‘Use 1-3 times a week’ while the packaging says ‘Once Weekly’. Leaving on for only 5 minutes and using once a week makes you think it’s quite a powerful product which seems to go against its natural appearance. 'Brightening' often means lightening, so this could be the more serious side of the product, but it would be good if there was more explanation. It is said to exfoliate, brighten and moisturise. My skin definitely felt clean and cleansed - that’ll be the AHAs - when I got into bed after using this. They do recommended you apply SPF the day after.